History.5 - The Heat Flow Meter | Thermtest Inc.
During the years between 1870 and 1878, Péclet proposed three separate methods for determining the measurement of thermal conductivity: sphere, pipe section, and a vertical slab. Around 1881 Christiansen built a slab method instrument that later was developed into what was called a Heat Flow Meter (HFM) apparatus. The instrument contained three thick copper plates, with holes drilled into them for the thermometers. Christiansen proposed a formula (See Equation 1) to calculate the thermal conductivity however, a known reference thermal conductivity material needed to be used as calibration for the sample material. Both of these samples were placed between the copper plates. The notion of a heat flow transducer was first introduce in Germany by Hencky in 1919 and later used in 1923 by Schmidt for laboratory field work in the area of industrial insulations. Schmidt noticed that his transducer produced a small amount of thermal resistance, to resolve this problem he used rubber strips (guarding strips) with of approximately the same thermal resistance as his transducer. The more edge loss error that was introduced the greater the amount of guarding strips needed. Surprisingly they were still experiencing the same errors with this technique nearly 60 years after it being introduced. The proposed explanation for this seemed simple: the physical principles involved in the measurements remain practically unchanged, but understanding the measurement uncertainties has improved considerably. Fast forward to the early 1970’s, to test insulated properties such as thermal conductivity, most thermal insulation materials were evaluated by ASTM C177 (guarded-hot-plate apparatus). Because of the growth of the size and complexity of the revised ASTM procedures, there was a need to develop a new standard. The previous test methods began as procedures, having a short, simple cookbook recipe style format. The new method would need to be more detailed, with more focus on parameter limits and extensive knowledge of the procedure and method. Around this time the ASTM C518 was becoming increasingly popular due to its faster and simpler operation. 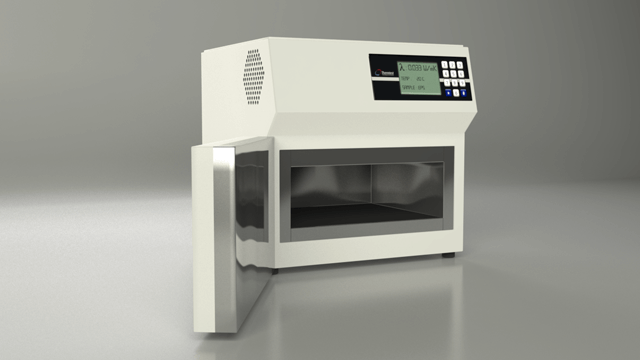 The heat flow meter (HFM) was becoming recognized as a feasible method for measuring thermal properties, both for laboratory uses and quality control. Progress in heat flow meter apparatuses have come a long way since the 70’s. It is primarily designed for use in industrial test laboratories for quality control of thermal insulation materials of low and intermediate thermal conductivity, such as polystyrene, cork, wood, wool, etc. Testing materials vary from foams, solids, and textiles. Thermal conductivity is testable in the range from 0.005 to 0.5 W/m•K with the temperature ranging from -20 to 80°C. Ronald P. Tye, Karl G. Coumou, André O. Desjarlais, and David M. Haines, “Historical Development of Heat Flow Meter Apparatus for Measurements of Thermal Resistance of Insulations,” Thermal Insulation: Materials and Systems ASTM STP 922. F. J. Powell and S. L. Matthews, Eds., American Society for Testing and Materials, Philadelphia. 1987. pp. 651-664. 1] Accordance to EN 12667, ISO 8301 and ASTM C518 standards.